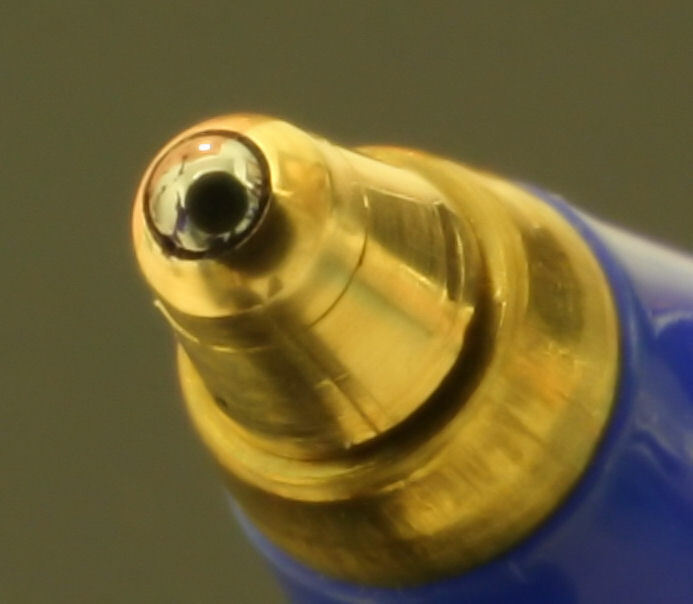 Continuing with my "Photographic Cliché" theme, tonight we have "macro of a ballpoint pen". I had to wait a few days to try this one, because I needed to purchase a reverse-mount lens adaptor. (I reverse-mounted an old Canon FD 50mm f/1.8 lens on my new Canon EF-S 15-55mm lens for this shot). Maybe it is time for me to fix all the broken links here on markrebuck.com, then add a photography section?